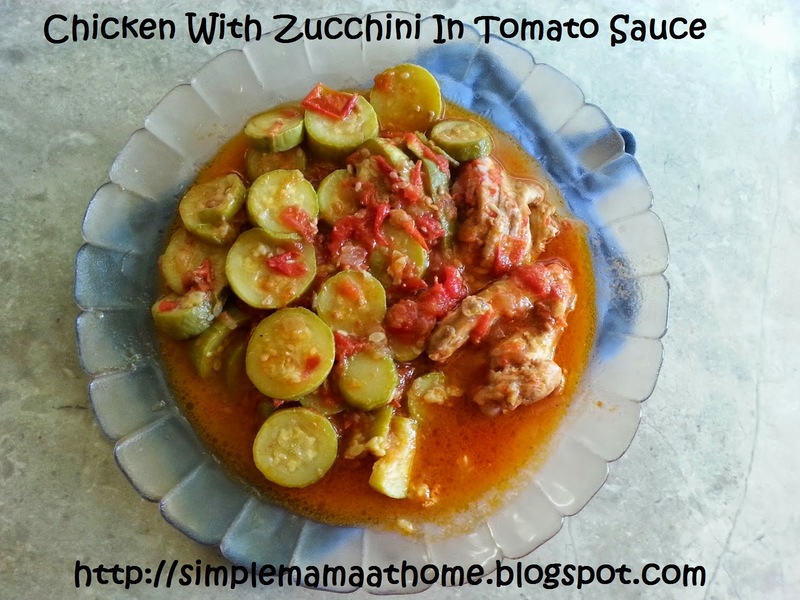 Zucchini is one of those vegetables that doesn't enter our kitchen often. It is a healthy food choice and so it should be a regular item on our family menu. I just had not given much thought on how to prepare this vegetable into a dish that my whole family could enjoy. With the help of my hubby we came up with the following recipe. This is a quick and easy recipe. It is a healthy food choice. Ingredients are natural and inexpensive. This does not take up much time to make and clean up is a breeze. The best part! Everyone loves it! I am happy to say that we will be welcoming zucchini in our home more than ever before! 1. On medium heat, add oil to large saucepan. Once heated add onions and cook until yellow. 2. Add chopped tomatoes. Add in salt and pepper. Stir well. Lower heat and simmer until a paste is formed. 3. Increase to medium heat and add chicken pieces. Stir often until chicken has started to cook. 4. Reduce heat. Add zucchini. Cover and let cook until zucchini is ready. 5. Add two cups of water and stir well. Replace lid and simmer for five minutes. That looks so good. I love zucchini. Nom! That looks so good. Not to mention easy! This is one of my family's favorite meals. We've been able to change it up to and sometimes I throw in leftover veggies so they don't go bad. I love how bright and colorful this salad is; it looks so inviting and delicious!This is a perfect recipe for me, all my fave flavors and foods – Bookmarking for spring..